AutoCad is a software that is used by the engineers in civil , mechanical , electrical and architecture fields . Engineers from mechanical and civil field , architectures and interior designers take the help of auto cad to create 2 D or 3 D models of their creations . We, as the AutoCad authorized training center in Mumbai , has created the world class infrastructure and laboratories to provide the job and concept focused real time training to our students . The syllabus of AutoCad authorized training center has been created by the professional and experts to give the cutting edge training to students . The latest techniques and software used in the autocad in advanced countries of the world is integrated into the education provided at our institute. We make sure that each student is given an independent work station and ample time to practice and work in our well- equipped laboratories . The experienced faculty makes sure that students at the AutoCad authorized training center becomes an expert in autocad at the end of the training . 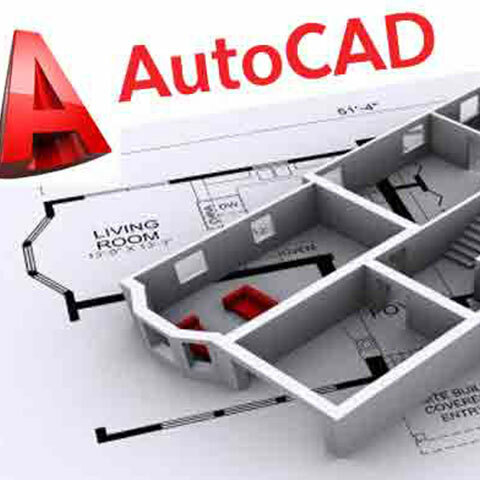 The AutoCad training at the authorized institute in Mumbai , start with 2 D drawing creation and editing . And after becoming proficient with the 2 D , and learning steps to navigate the technical layout of designs and drawings , the students are taught advanced 3 D capabilities of the autocad course . Along with advanced 3 D training , the AutoCad authorized institute in Mumbai also teaches , features and techniques such as geometry creation , display , editing functions , printing and plotting techniques , drawing set up techniques , and all the latest additions to become masters in the autocad technology . All students are put in the live projects in the AutoCad authorized training center in Mumbai during the course of their training . .The learning sessions are monitored by the industry experts and professionals . From time to time , AutoCad authorized training center conducts work shops and seminars by inviting the leading experts to make our students familiar with the practical aspect of the work as auto cad experts . After the completion of the course from AutoCad authorized training center , our students go to work as auto cad experts , draftsmen , auto cad professionals in leading corporates and consultancies . Anyone can join the AutoCad authorized training center In Mumbai , as there is no perquisite for admission , though students with knowledge of basis autocad techniques , can master the advanced technologies easily. But the AutoCad authorized training center will make anyone master with unique training methodology .